Unlike most crypto assets, Ripple and XRP has a landing scene. 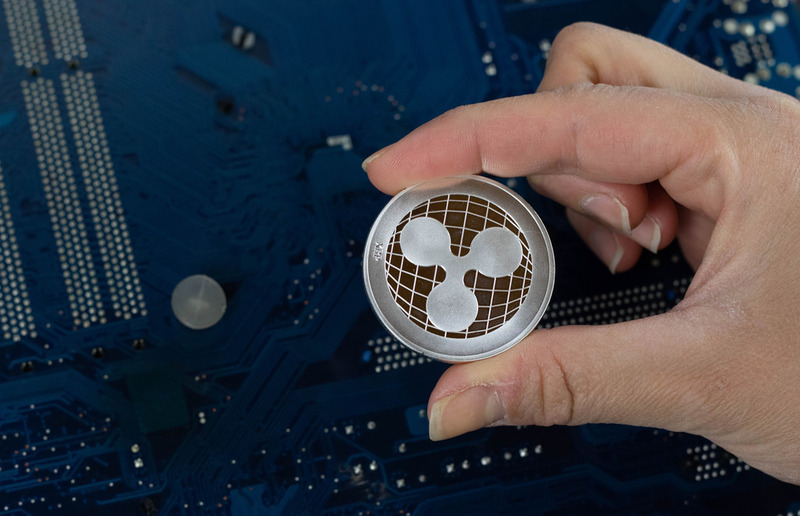 RippleNet, Ripple’s solutions and the native currency, XRP are active and in use by financial institutions as well as payment processors. And what’s more, governments, high net-worth investors and regulators believe blockchain based solutions as those riding on the Ripple Ledger could be disruptive. Even so, there seem to be a “cold war” in the crypto-verse. Do you think that Ripple and XRP helping to streamline banking is considered a threat by banks? 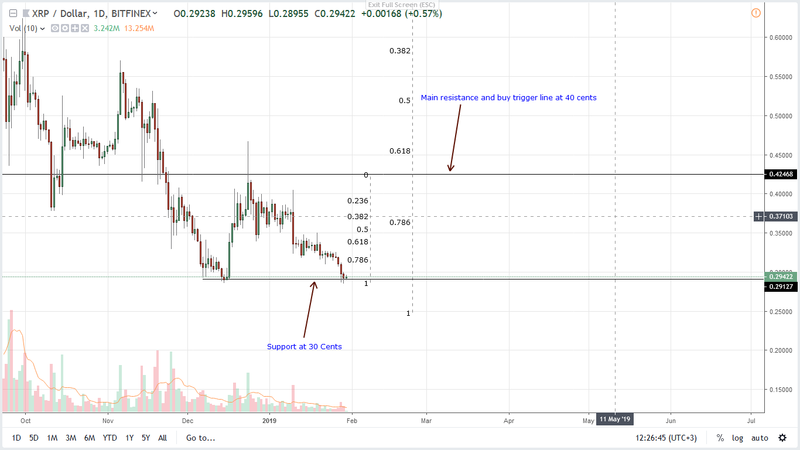 Even so, XRP is weathering the storm and after two days of immense sell pressure, XRP is steady and up 0.5 percent in the last day. What’s important is that there has been no confirmation of Jan 28 losses and prices are actually trending inside its high low. Overly, this is bullish and if anything, this could be a spring board confirming Sep 2018 buyers, cementing our overall trade assertion. From a top-down approach, it is clear that buyers are in charge. All you have to do is zoom out and observe price action in the weekly chart. In this time frame you’ll notice that XRP is still trending inside Sep 2018 high low and bears—despite their viciousness, are yet to reverse those gains. In the meantime, although sellers did erase late Dec 2018 gains, buyers have an upper hand in an effort versus result point of view. Note that it took 10 days for prices to rise from 30 cents to around 42 cents but took more than 40 days for bears to reverse those gains. All we need is today’s bar to close as a bull with decent transactional volumes—from BitFinex—exceeding 15 million. As aforementioned, expected rallies should be at the back of high market participation. Recent low levels mean bulls have a chance as lower lows are generally driven by low volumes—15 million. That means there should be spikes above 15 million accompanying higher highs driving prices above 34 cents. Ideally, these bull bars should average around 25 million in sync with averages between Dec 17 to 28 when prices rallied from 30 cents to 40 cents. This is not Investment Advice. Do your Research. Good God learn to read a chart. Im a ripple believer but the chart you posted is nothing but a series of Lower highs and lower lows, yet you say “bulls are clearly in charge”. You take some random redditor’s comment as tag line for your article? Are you even looking at charts you posted? Are you a journalist or an intern? What a crappy article. Easy Hack for dispelling FUD about alts. Look at the articles authors name – google it and look at are the articles they have written. Are they a bitcoin maximist. If yes. FUD Obvious. Illuminati Confirmed, lol.